From edge-of-your-seat thrillers like ‘Rounders', to modern heist flicks such as ‘Ocean's Eleven', Hollywood's fascination with gambling is nothing new. Whether revealing the dark underbelly of the casino lifestyle, or tales of strategic card counting, the best casino movies of all time are all imbibed with the high-octane atmosphere of gambling venues. 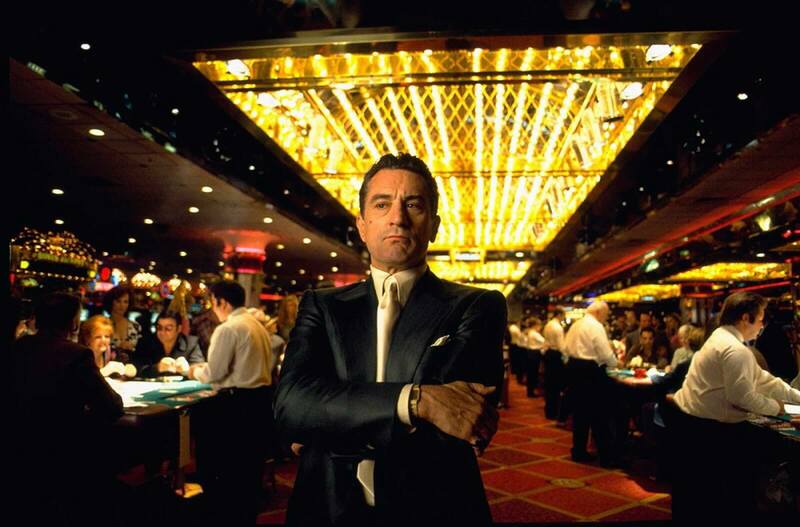 Here are our top casino movies along with their most unforgettable quotes. A re-make of the 1967 film of the same name, Casino Royale is a favourite with both casino and James Bond fans alike. Le Chiffre, banker to the world's top terrorists, is attending a high-stakes game of Texas Hold'em in Montenegro where he must win back his money in order to stay safe amongst the terrorist community. Joined by foreign liaison agent Vesper Lynd, James Bond is sent to play the game and to stop Le Chiffre from winning and escaping. With international security at stake, Bond enters into the most important poker game of his career, in this captivating casino scene. Class, wealth and risk radiate in this classic casino movie. Based on the popular novel, cult film Fear and Loathing in Las Vegas portrays Hunter S. Thompson's (Johnny Depp) psychedelic road trip across Western America. In the company of his crazed Samoan lawyer, Thompson heads to Vegas with a hefty advance to cover a sporting event for a magazine. Blowing the money on a massive amount of drugs they set out in search of the “American Dream”; encountering police, gamblers, drug dealers, and hitch-hikers along the way. This film presents the “Sin City” version of Vegas — dangerous, explicit, and very far from the “American Dream”. The quintessential “what happens in Vegas stays in Vegas” casino movie. 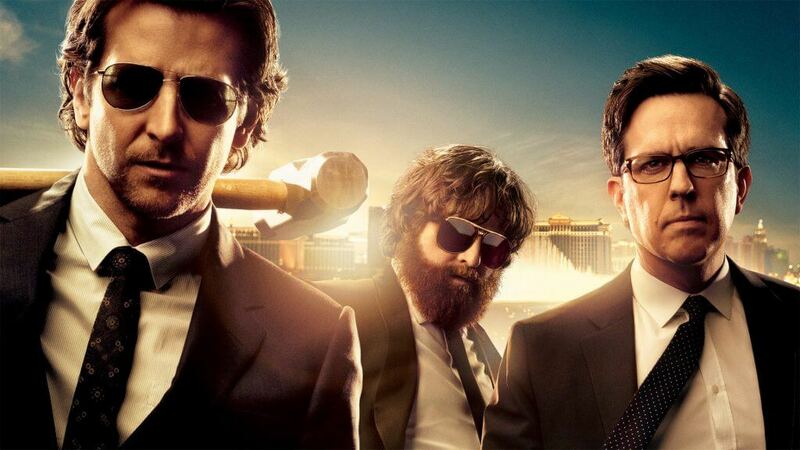 Phil (Bradley Cooper), Stu and Alan head to Vegas to celebrate their friend Doug's bachelor party in style. The three friends wake up with no memory of the night's events, a missing bridegroom and a tiger in the bathroom. With mere hours to reassemble the pieces and find Doug, can they make it to the wedding on time? A hilarious and out-of-control portrayal of Vegas and its mind-blowing casinos. 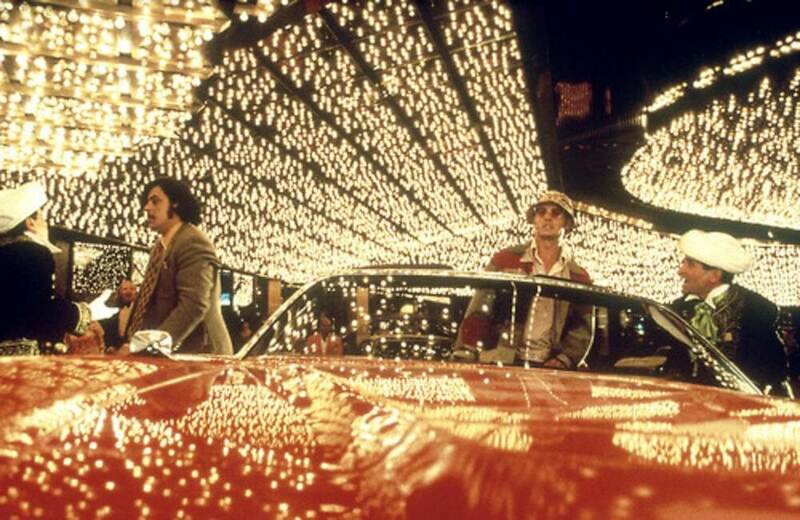 Martin Scorsese depicts the two-faced quality of Las Vegas: the intoxicating glitz and glamour, contrasted with brutal and cruel dealings. Sam ‘Ace' Rothstein (Robert De Niro), a mob-connected casino operator in Las Vegas, lives a civilized lifestyle with his wife, Ginger. Nicky Santoro (Joe Pesci), his boyhood friend and now a mafia lynchpin, arrives in town with an ambitious agenda of his own that soon disrupts Ace's life. Greed, deception, money, power, and murder reign in this casino movie which illustrates the dark realities of a casino gangster. Danny Ocean (George Clooney) wants to pull off the biggest heist in history and gathers a team of talented, risk-taking individuals to help him execute it. Their target? Three of the biggest casino in Las Vegas — The Bellagio, the Mirage and the MGM Grand —, all owned by tycoon Terry Benedict. Already no small task, the group encounters several twists and turns along the way. Will they succeed in swiping $150 million from the world's most high-profile casinos? The ultimate casino heist film! With the desire to become a doctor but no funds to pay the $300,000 in tuition fees, Ben Campbell (Jim Sturgess) needs a scholarship to transfer to Harvard School of Medicine. 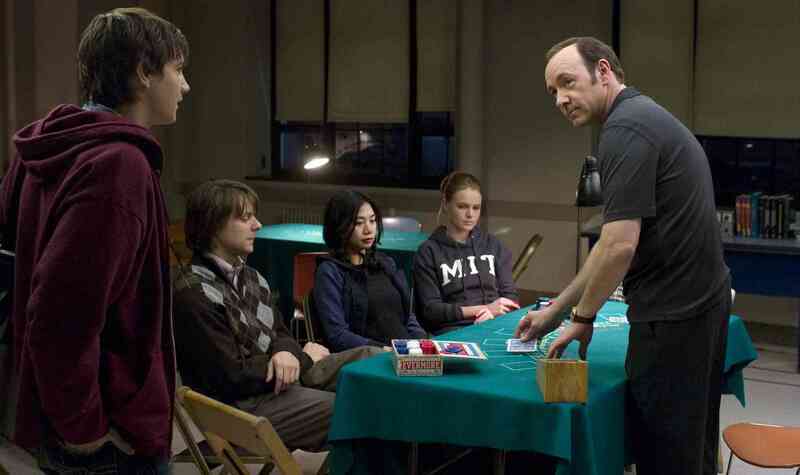 Sensing his need for money and talent for numbers, Ben's unorthodox maths professor Micky Rosa (Kevin Spacey) invites him join a select group of gifted individuals. Ben joins his new friends on secret weekend trips to Las Vegas where, using their card-counting skills, they make hundreds of thousands of dollars on the blackjack tables. However, along with money comes greed and power and the students end up in a situation where everything they have learned and earned could come undone! 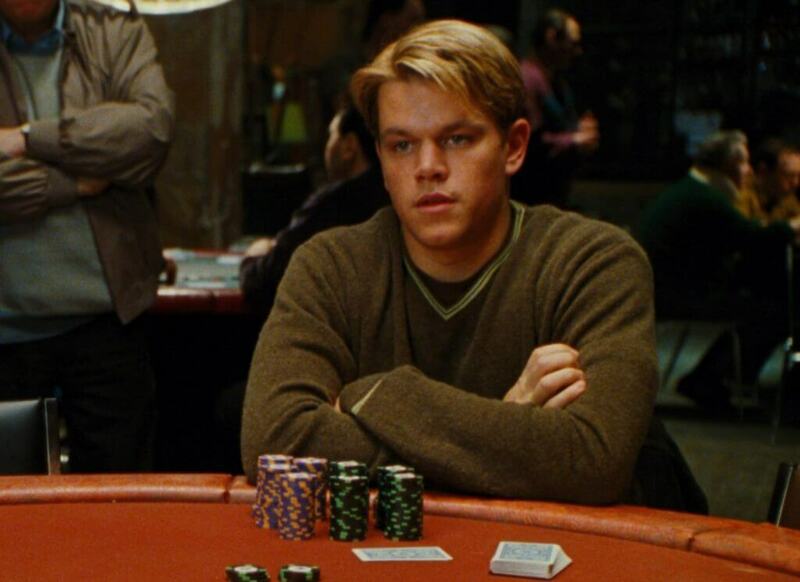 Mike McDermott (Matt Damon) is a law student with a talent for poker. After losing all his money to Russian mobster, Teddy KGB (John Malkovich) he vows to give up gambling and just concentrate on studying. Mike keeps his word until his childhood friend Lester “Worm” Murphy is released from prison. Soon he finds himself gambling one game after another to try repay the money his friend owes his nemesis. 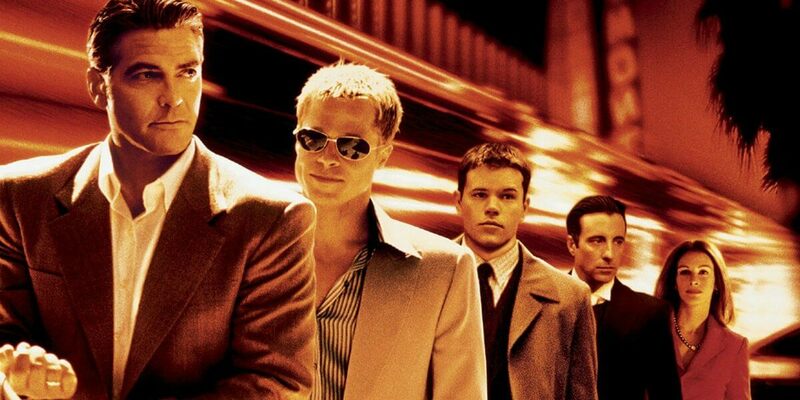 Rounders is often viewed as the top casino movie for poker fans. 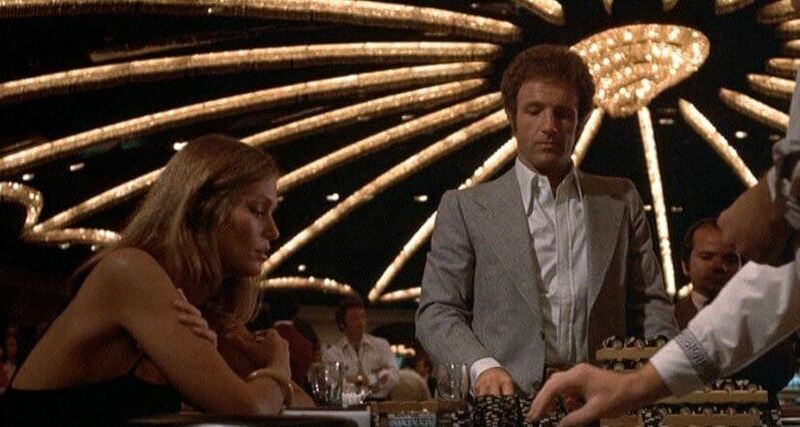 On the surface, Axel Freed (James Caan) is an inspiring English professor and author; but underneath, a troubled individual with a serious gambling addiction and soaring debts. Stealing the $44,000 from his own mother, he heads to Vegas with his wife Billie in a bid to win it all back. A powerful tale of the grip of addiction, alienation and how far people will go when the stakes are really high. Spoilt businessman Charlie Babbit (Tom Cruise) is put out after only receiving rose bushes from his estranged father's will. 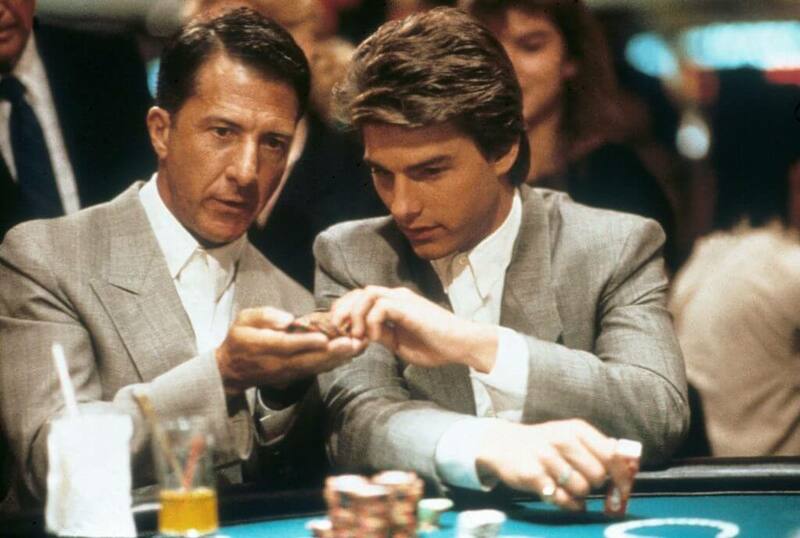 After meeting his older brother Raymond (Dustin Hoffman), an autistic savant, for the first time, Charlie takes him to Vegas with the idea of using his gift to win big at the blackjack tables. A film about family ties, mental astuteness, and crossing the boundaries of ‘legal' in Las Vegas. 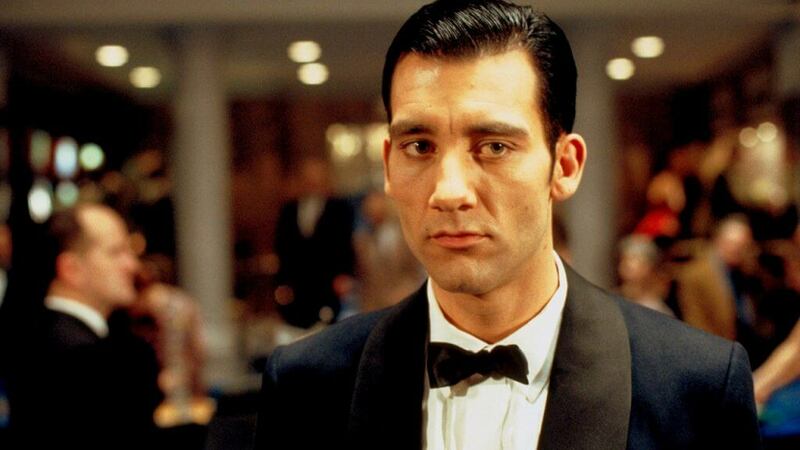 Struggling writer, Jack Manfred (Clive Owen) takes a job as a croupier to make ends meet in London. Consumed by the shady casino lifestyle, Jack gets embroiled in under-the-table dealings with a gambler and events begin to spiral out of control; at the casino, and in his personal life. Croupier takes an different perspective from traditional casino movies; showcasing the cold reality, far from the glamourous high rollers of Vegas. So there you have the top casino movies of all time. Do you have any other casino movies that you think should make the list? Let us know in the comments below!